Demand for mobility around the globe is growing rapidly. Motorisation in emerging economies continues at breath-taking pace, with the number of motor vehicles on the world’s streets rising, according to some estimates, from just over 1 billion today to 2 billion in 2020. Air passenger travel could double, air freight could triple and container handling in ports could quadruple within the next 15 years or so, according to OECD projections.If we do not want to stifle trade and economic growth and the opportunities these bring for our citizens, we must invest in infrastructure - and we must do so now. 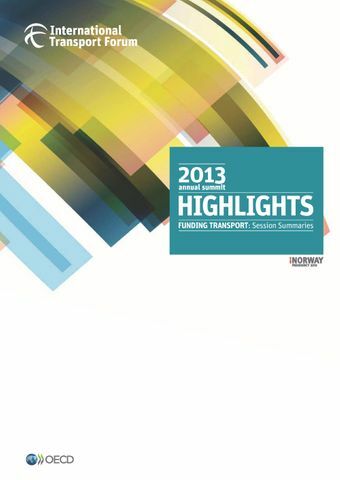 Global investment needs to 2030 for key global transport infrastructure alone is estimated by OECD at USD 11 trillion. But policy makers face a difficult dilemma: Almost everywhere public budgets are squeezed as never before in the wake of the global financial and economic crisis. And they are likely to remain tight for quite some time.The International Transport Forum’s Summit brought together Ministers from ITF member countries and many business leaders in total 1 000 delegates from 79 nations to test ideas, to engage with experts, to align perceptions on the funding issue and explore ways to address it. This publication presents the essence of this substantive debate.